Banksy – We are all fakes! The art of subversion or the subversion of art? 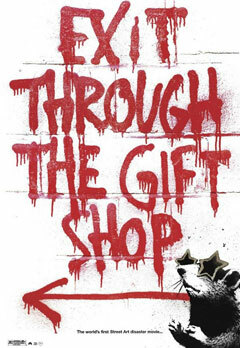 A day for celebrating the release of the first Street Art disaster documentary: Exit Through the Gift Shop, by Banksy. On Wednesday 16 November in the Fabbrica del Vapore, Milan, there will be a screening of WE ARE ALL FAKES! 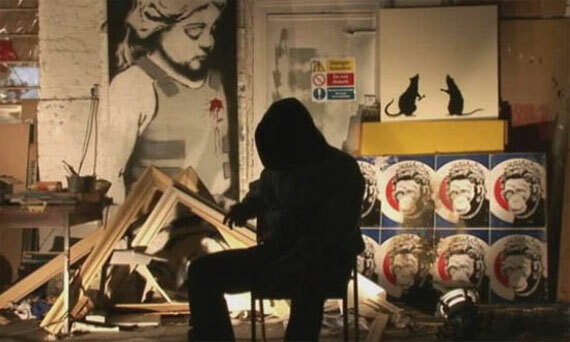 – The art of subversion or the subversion of art?, a day organized by Feltrinelli and Pfa Film together with MADEINART and wholly devoted to Street Art and to one of its most outlandish and nonconformist protagonists: the English artist Banksy. The event has been created for the release in Italy of the DVD of Exit Through the Gift Shop (Feltrinelli Real Cinema series), one of the most provocative films about the art world, directed by Banksy. For this occasion two screenings of the film have been organized in the Fabbrica del Vapore: at 8.30 p.m. (invitation only) and at 10.30 p.m. (free entry as long as places are available) after a brief presentation of the famous and mysterious director at 8 p.m. The screenings will be in the Cattedrale area of the Fabbrica del Vapore where Anish Kapoor’s site-specific installation Dirty Corner is to be found, a work sponsored by the Milan city council and MADEINART and curated by Gianni Mercurio and Demetrio Paparoni (until 8 January 2012). From 8.30 p.m. onwards the installation can be visited at a reduced price (€4 instead of €6) . Furthermore, in the evening we have planned a live performance by OZMO, one of the most important Italian street artists, and the presentation of Phoebe Zeitgeist appare a Milano – azione di strada/video-foto, an inhabitable theatre installation by PhoebeZeitgeistTeatro, realized with the collaboration of the Fondazione Mudima and Teatridithalia.